At our last meeting on Wednesday, February 7, Assistant District Governor (ADG) Susan Ross visited with an additional mission — to recognize our members for another year of steadfast support for the great work of the Rotary Foundation. 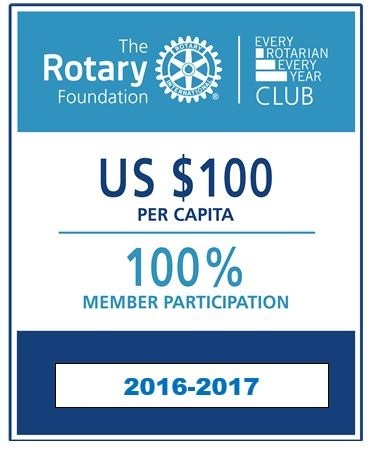 As we have done for many years, 100% of our members contributed to the Annual Fund, and moreover, 100% of our members contributed at the $100 Sustaining Member level ! Thanks to everyone for your support of our Foundation !